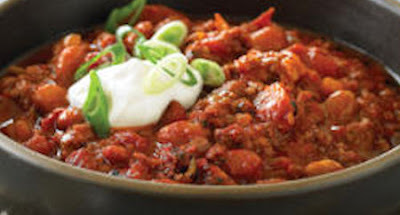 Fantastic Chili Recipe!! the absolute best one I have tried. 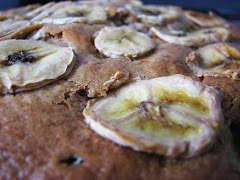 I found this recipe online and just absolutely fell in love with it. This is one of the best Chili's ever!! With the addition of chocolate and chipotle chiles it really has a depth to it....just like the recipe claimed. I loved it and it came out amazing. Wash the fruit thoroughly. To remove the peels without tearing, slice off the stem end of the fruit, then make vertical cuts about 1 inch apart through the peel. Carefully peel off the scored sections of rind. With a sharp paring knife, trim away as much of the white pith from the peels as you can. Cut the peels lengthwise into 1/4-inch-wide strips. 2. In a small pan, cover the peels with water. Bring to a simmer and cook for 20 minutes. Drain. 3. 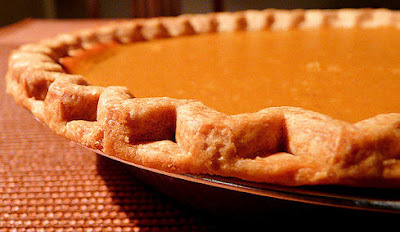 In the same pan, stir together 1 1/2 cups of the sugar and the water over medium-low heat until the sugar is dissolved. Add the peels and simmer gently, stirring occasionally, until soft and translucent, about 40 minutes. 4. Place a cooling rack over a baking sheet and use a slotted spoon or tongs to transfer the peels to the rack. Let them stand until almost dry, about 1 hour. 1. Line a baking sheet with waxed paper. Melt the chocolate in a bowl set over a pan of hot water, stirring frequently until melted and smooth. Remove from heat. 2. Dip the peels about halfway into the chocolate, shaking any excess chocolate back into the bowl. Place the peels on the waxed paper. 3. Refrigerate until firm, about 1 hour. Store in an airtight container in the refrigerator for up to 1 week. 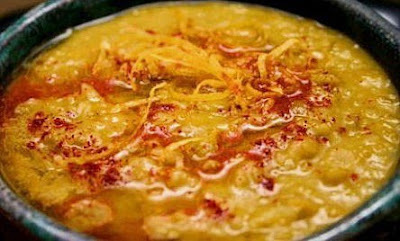 This dish is a little spicy so be careful for those who can't tolerate too much spice. Luckily I am not one of those people. ...the more spice the better to me :-). 1. Wash the bulgur in several changes of cold water, pouring it back and forth between a large bowl and a very fine sieve, until the water is clear. Drain the bulgur in the fine sieve. 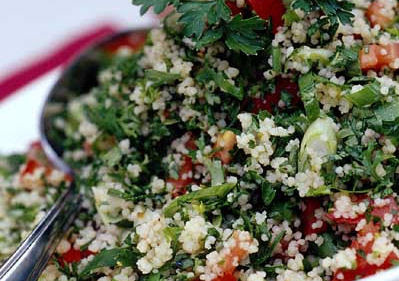 Return bulgur to the bowl, cover it with one inch of cold water, and let it soak for one hour. 2. While the bulgur is soaking, toast the coriander seeds, cumin seeds and fennel seeds in a small skillet over moderate heat until very fragrant, one to two minutes. Let the seeds cool completely and then grind them in with the allspice berries in a spice grinder or pound to a powder in a mortar and pestle. 3. Stir together the red onion, ground spices and salt in a large bowl and let stand while the bulgur is soaking, at least thirty minutes. 4. Drain the bulgur in the sieve, pressing hard to extract as much water as possible. 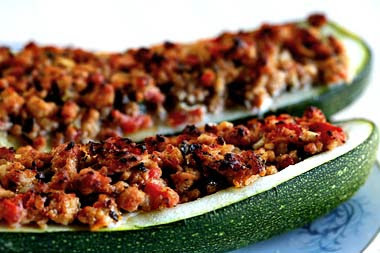 Add the bulgur to the onion mixture with the cucumber, tomato, herbs, scallion, lemon juice, olive oil and cayenne pepper; toss the salad well. Taste and adjust seasonings, adding more salt if necessary. This salad is best if served immediately. Some of you know that I've recently started a new hobby. It's been a blast making my own home made cheese. Ricotta is super yummy when it's fresh. Plus it's not that hard to make. Hope you enjoy it as much as I do. 1 In a large pot, bring the milk, yogurt, heavy cream (if using), vinegar, and salt to a boil. Very gently boil for one to two minutes, until the milk is curdled. 2 Meanwhile, line a strainer with a few layers of cheesecloth and set it over a deep bowl. 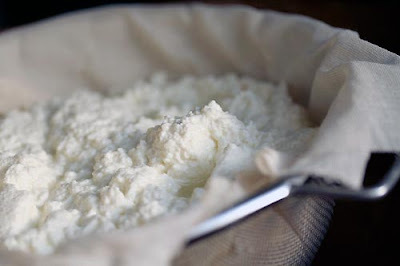 Storage: Homemade ricotta is best served slightly warm, although it can be refrigerated for up to three days, if desired. I found this recipe online for split pea soup, but I liked some aspects of another that I found so I combined the 2 recipes to make this one. YUMMMMMY!! Empty package of split peas into a colander or bowl. Sort through well, removing foreign matter and imperfect peas. Rinse well. Soak for two hours in 2 cups water. In a large soup pot or Dutch oven, sauté minced garlic in 1 tablespoon of butter and 1 tablespoon olive oil until garlic golden, but not brown in color. Add ham bone, water in which peas have been soaked, 2 extra quarts of water, 1 can of chicken broth and bay leaves. Bring to a boil for 1 minute; reduce heat and simmer, covered for 1 hour. Remove cover and simmer an additional hour or until soup is desired consistency. Add baby carrots during final 20-30 minutes of cooking. If you prefer a pureed soup, process using a hand blender before adding carrots. 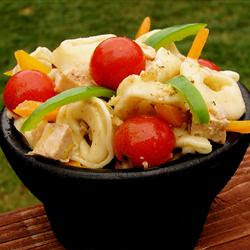 Taste soup one half hour before serving; add additional garlic or garlic powder and salt and pepper, as desired. Bring a separate pot of water to a boil and cook spaghetti according to package directions. Drain. Stir in milk or cream 10 minutes before serving. If you have any leftover ham, add at this time. Remove bay leaves before serving and garnish with lemon zest, paprika and a drizzle of olive oil. I was so happy with this recipe. Truly delicious. You can see by the photo I did a little twist on the recipe as I didn't have enough blueberries on hand. So I threw a few raspberries in too and it was fantastic. Recipe for blueberry orange bread, with blueberries, orange peel and orange juice. Combine butter and boiling water in a small bowl; add 1 tablespoon grated orange peel and 1/2 cup orange juice. In a mixing bowl, beat egg and granulated sugar with an electric hand-held mixer until light and fluffy. In a separate bowl, combine the flour, baking powder, soda, and salt; add to egg mixture a little at a time, alternating with orange juice mixture, ending with flour mixture. Fold in blueberries. Spoon batter into a greased and floured 9x5x3-inch loaf pan. Bake at 350° for 50 to 55 minutes, or until a wooden pick or cake tester inserted in center comes out clean.. 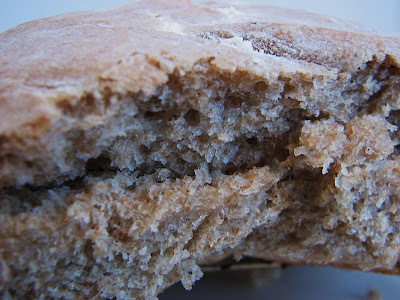 Cool bread in pan 10 minutes; remove to wire rack. Combine 1 teaspoon orange rind, 2 tablespoons orange juice, and 2 tablespoons honey, mixing well. Spoon over hot bread; let cool. Super Delicious and Easy Black Bean Soup! I made this for dinner last night and it was so good that I just had to share it. I can barely wait to have lunch as I'll be eating the leftovers. Fromage Blanc made at Home! I've recently discovered cheese making and have been having a ball with it. I never realized you could make fresh cheese in a day. I had always wanted to try and make my own cheese, but thought it must take a lot of time and work. Then there is the aging, waxing, etc. Well I was wrong. You can make your own fresh Fromage Blanc in a day right at home and eat it the very next day. It's delicious! First you heat up 32 oz of whole milk to 165F degrees. Here is a photo of the beginning stages of cheese. Turn off the heat at 165F and add 1 cup of buttermilk and 2 tsp. of lemon juice. Wait 10 minutes and you should see curds forming like this photo. You then pour the curds and whey into a strainer lined with cheesecloth. Let strain completely. Little by little you will see the cheese solidifying. When it looks like this you can cover it up and put it in the refrigerator overnight. In the morning take it out of the refrigerator and mix 1/2 tsp of salt into it. Then scoop it in to ramekins. Smooth it out with a spatula and cover with plastic. You can eat it right then, but I usually like to wait until the evening so that the flavor has a little more time to develop. I've really had fun with this over the past week. I thought some of my readers might be interested in trying this themselves so wanted to pass this along to you all. I've almost enjoyed it as much as my soapmaking, but the fun part is you get to eat this!! Let me know if any of you try it. Would love to hear about it if so. Now at this point anyone reading this is probably wondering is this a baking blog?? Well I do cook alot but I have been on a baking kick the last couple of months. I have been having so much fun and success with it that I thought my baking was some of the fun stuff to show at the moment. 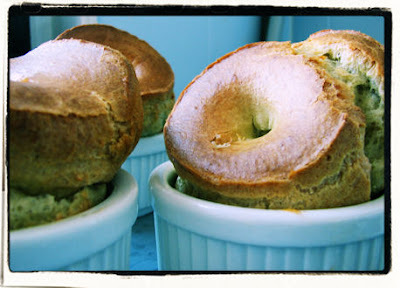 There is no exception to that in how much fun I had making these popovers. They are really easy too! 1) Use 6 custard cups or a popover pan grease the bottom and sides of each cup with the shortening or butter and set aside. Preheat the oven to 400 degrees at this time. 2) In a medium mising bowl use a wire whisk or rotary beater to beat eggs, milk and oil until combined. Add the flour and salt and beat until smooth. 3) Fill the prepared cups half full with the batter and bake in 400 degree oven for 40 minutes or until very firm. 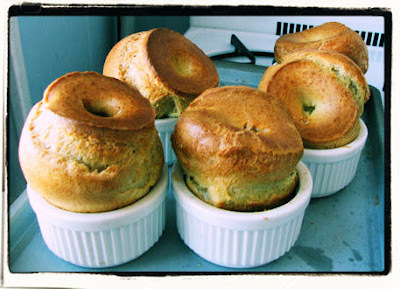 4) Immediately after removing the popovers from the oven, use a fork to prick each popover to let steam escape. Remove the popovers from the cups and serve. There are many options for serving popovers, you can serve them with beef, lamb or pork. 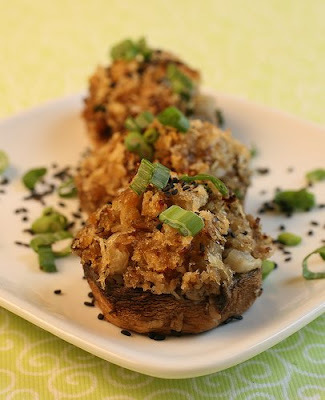 You can also cut them open and stuff them with your favorite dip or salad. What I did with these though was turn them into a dessert. I added just a tad bit of cinnamon to the batter and then when they were done I cut them open filled them with real vanilla ice cream and then poured whole raspberry syrup over them and sprinkled them with powder sugar. Absolutely delicious!! OH MY GOD IS ALL I CAN SAY ABOUT THIS ONE!!! TOO YUMMY, I ENDED UP MAKING A SECOND BATCH CAUSE MY SWEETIE ATE THEM ALL! 1)Preheat oven to 350 degrees F (175 degrees C). Grease cookie sheets. Sift together flour, baking soda, salt, cinnamon, mace, nutmeg, and cloves; set aside. 2)In a large bowl, cream together butter, brown sugar, and white sugar until smooth. Beat in the eggs one at a time, then stir in milk and vanilla. Gradually mix in the sifted ingredients until well blended. 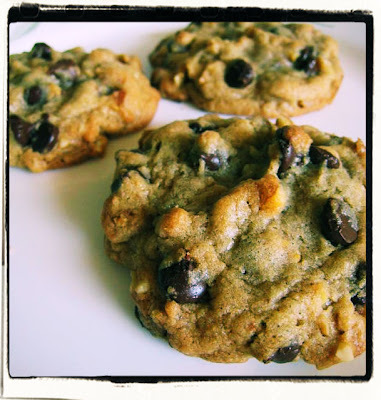 Using a wooden spoon, stir in the cornflakes, oats, coconut, chocolate chips, and walnuts. Roll the dough into walnut sized balls, and place 2 inches apart on prepared cookie sheets; flatten slightly. 3)Bake for 8 to 10 minutes in preheated oven. Allow cookies to cool on baking sheet for 5 minutes before transferring to a wire rack to cool completely. 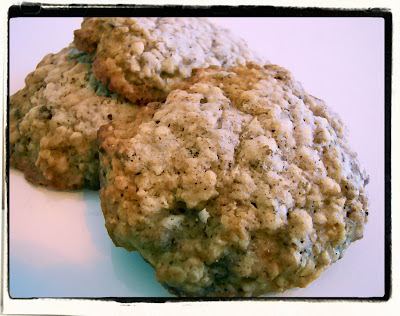 I found that slightly under baking these yields wonderfully chewy cookies!